I remember the first time I encountered a sweater pattern that blithely directed me to to cast on 625 stitches. My jaw dropped. My mind reeled. Why so many stitches? How on earth was I going to accurately count them all? How many miles of yarn tail would a long-tail cast on require--and, OMG, what if I run out of yarn tail as I cast on stitch 602? Well, I took the required leap of faith, started my cast on, drove myself crazy counting, and, sure enough, ran out of yarn tail somewhere in the early 600's. I'm here to tell you that there is a better way. 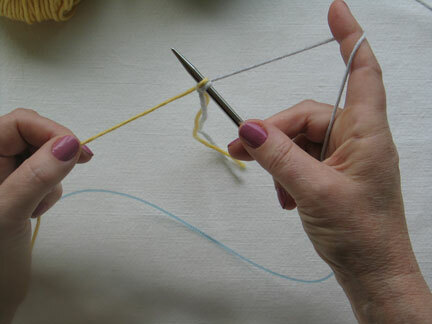 Make a single slip knot containing two strands of yarn, one from each of the two balls. 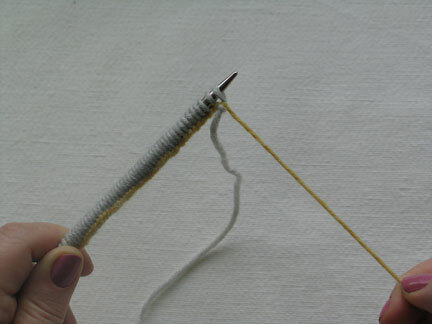 Place on needle. 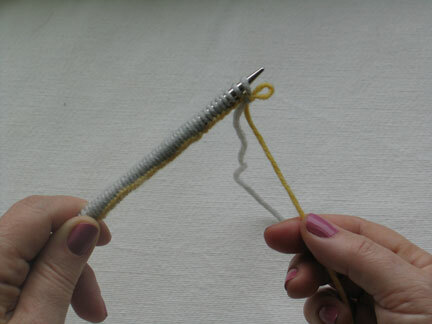 With one strand serving as the working yarn and the other as the yarn tail, use long-tail cast on to cast on the number of stitches called for in the first section. Confirm correct stitch count. 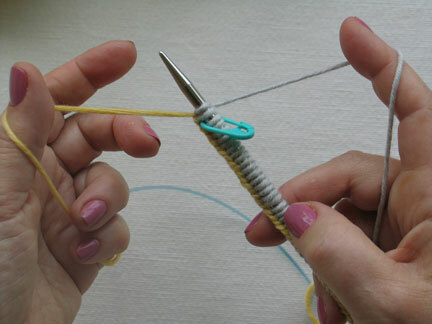 Place a marker, cast on number of stitches called for in the second section, and confirm stitch count. Repeat the process until all 8 sections have been cast on. IMPORTANT: Double check that you actually have 8 sections, and, if you are working on an oval silhouette, that you have sections of different lengths in the proper order. 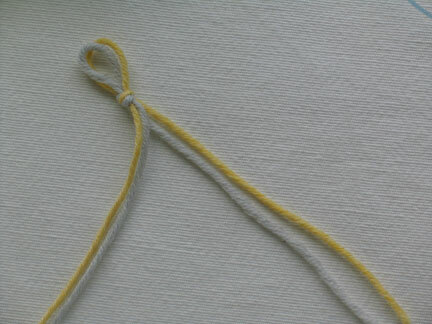 Place the start-of-row marker (different color) and cast on 1 stitch. and pulling down on its end. Break the strand used as the long tail, and continue with working yarn. You're on your way!